New Keyrun Cooperation Co.,Limited was established at the year of 2008. Company located in Tianjin-the biggest sea port in North China. With the advantage of Tianjin port, we can arrange the cargo shipment very convenient. Company is focus on Construction Material and Home Supplies. Our products are including Drywall Screws, Chipboard Screws, Self Tapping Screws, Self Drilling Screws, Common Nails, Roofing Nails, Coil Nails, Brad Nails & Staples, etc. Meantime, we provide machines for different Screws and Nails. Clients can achieve one-stop purchase from our company. Also we do customer services. We can help customer to get any cargo from China. And can help customer arrange payment, do cargo inspection and business negotiation, etc. Besides, we own a trading company named Tianjin Cartonic Imp. & Exp. Trading Co., Ltd. We doing all kinds of items exporting by this trading company. With the introduction and help of our clients, we have entered into the following business field. 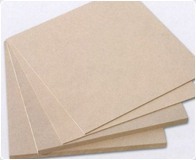 Like Construction Materials, Disposable Wooden and Bamboo items, Party supplies, Packing Materials, Baby Supplies, Pharmaceuticals Products, etc. Clients can get everything in this business fields from us and combine all items together for shipment arrange. We believe that in future we can enter into more business fields and can give clients more choice for items. Company is running by a team of experienced professional persons. Our Sales can provide you professional answers for every questions regarding our cargo and our company policy. Our Purchaser can help to arrange every order in proper. Our QC person can response for the inspection to assure the cargo quality. Our Shipping department will arrange the shipment and prepare the proper documents for every order. Company is keeping the principle of “ Customer is First, Quality is Priority” from the beginning. After steady development, our cargo has been widely exported to Europe, South American, Middle East and Southeast Asia. And win good reputation in these market. Now our company has become one of the maim Screws Suppliers in india.